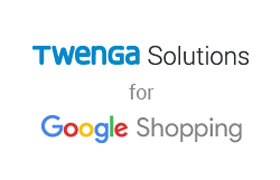 Completely automate your Google Shopping campaigns & improve your ROI by up to 40% in just a few days with Smart FEED by Twenga Solutions. Smart FEED is instantly integrated into your existing campaigns for a simple and efficient setup. The solution drastically improves performance on Google Shopping by completely automating campaign optimization and management. Smart FEED restructures product feeds by rewriting product titles and automatically selecting the best images to maximize visibility and click rate. The solution also automatically manages negative keywords and excludes low-performing products. Real-time AdWords bids finely tuned at the most granular level and based on your ROI targets, catalogue changes and shopping trends. Twenga's conversion prediction engine is based on over 40 different variables to estimate the intention to buy for each product and adjusts bids in real time. Segment creation based on clients' typologies, their browsing history and the categories in your catalogue with bids adapted in real time for each segment. This feature also allows us to customize ad campaigns for people who have previously visited your retail site. "Google tracking is complemented by a system called Smart TRACKING, which detects weaker signals such as displaying product pages or adding products to the shopping basket to increase performance." This new tracking system is the easiest to install on the market! Our management interface allows you to follow and analyze your performance in real time as well as adjust your targets using our practical and intuitive dashboard.